In 2001, Byrne began Worldstock Fair Trade, an Overstock.com division selling handcrafted products from artisans in developing nations. Worldstock profits have been donated to fund philanthropic projects, including building 26 self-sustaining schools across Asia and Africa educating thousands of students. 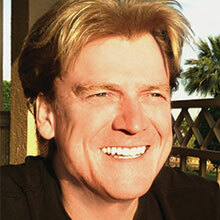 In 2012, Byrne’s pro-freedom political orientation led him to challenge Overstock to become the first business with more than $1 million in revenue to accept bitcoin as a payment method. Using the familiarity gained with the blockchain technology at the heart of digital currencies such as bitcoin, Byrne created Medici Ventures, a subsidiary within Overstock.com devoted to advancing blockchain-based technology solutions. In 2015, Byrne used Medici’s t0.com cryptosecurities trading platform to become the first person to purchase a digital bond entirely on the bitcoin blockchain. Byrne made history again in Dec, 2016, when Overstock.com issued the first shares of a public company ever traded on an alternative trading system (ATS) utilizing the blockchain’s distributed ledger technology. Byrne received a bachelor’s degree in philosophy and Asian studies from Dartmouth College, a master’s in philosophy from Cambridge University as a Marshall Scholar, and a doctorate in philosophy from Stanford University.